This exquisite half channel set diamond eternity ring or wedding ring is adorned with 0.22 carats of dazzling white diamonds. Featuring a channel setting and 3mm width, the ring benefits from a comfortable court shaped design, precision set with natural brilliant cut diamonds. 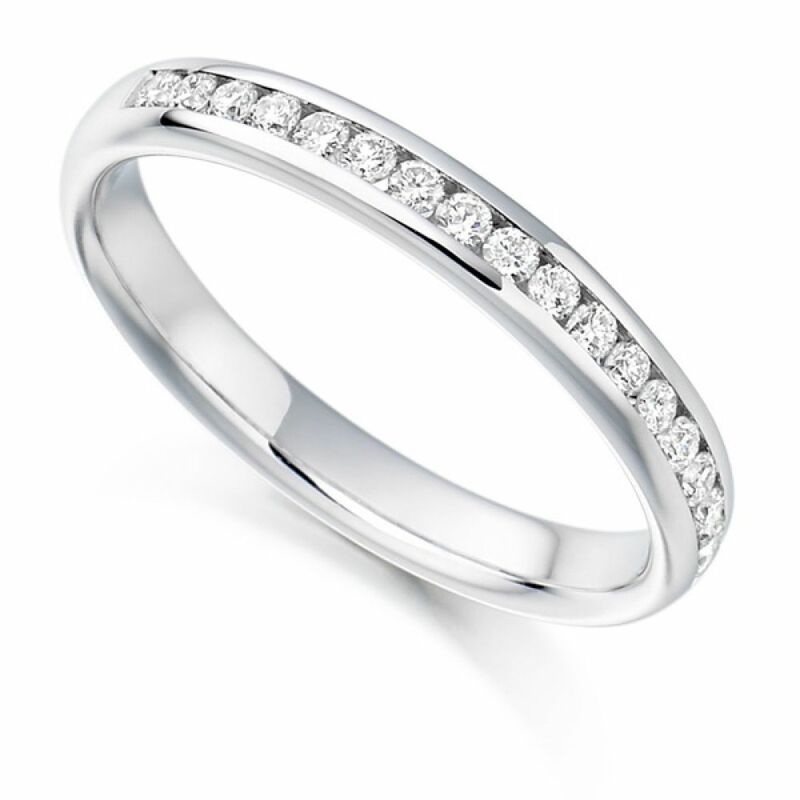 This exquisite half channel set Diamond Wedding or Eternity Ring dazzles with a sparkling display of Round Brilliant cut Diamonds, precision channel set into a court shaped band. 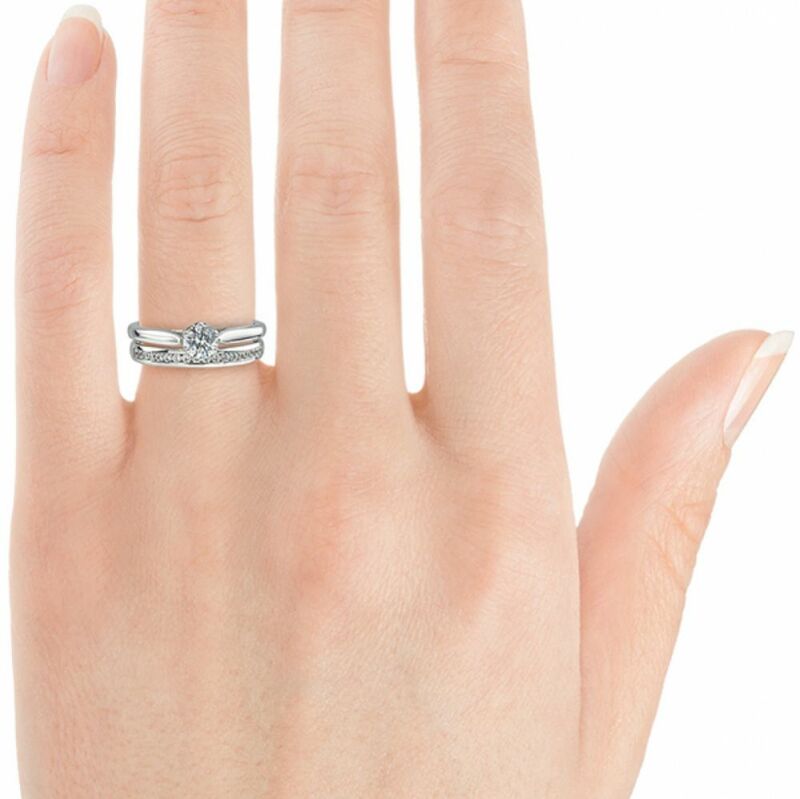 Measuring 3mm in width the ring makes the perfect addition to an Engagement Ring or bridal set. Perfectly machine set for precision, the Diamonds extend across 45% of the band which benefits from a consistent width and comfortable court shape for everyday wear. Your ring will take around 4 weeks to craft before it is delivered beautifully packaged at your door. Your ring will include hallmarking, a detailed valuation for insurance, the reassurance of 60 days returns and a lifetime warranty. Please contact us for any additional advice required on this or other designs from the Serendipity Diamonds website.